Bjorkmann twist Damasteel that has had a cryogenic treatment. 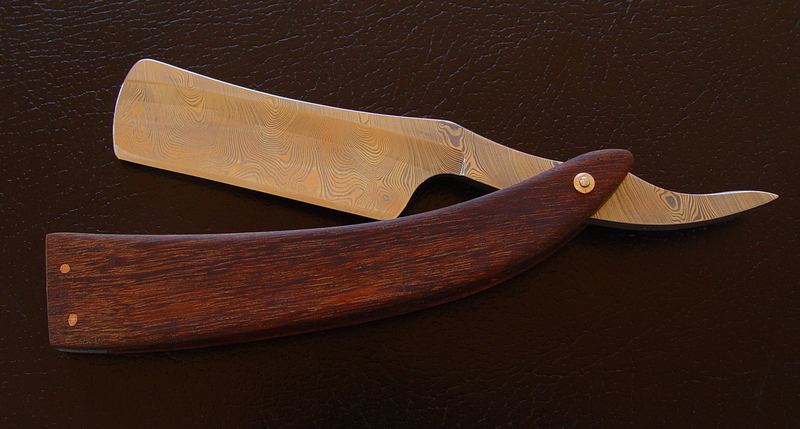 Rhodesian Teak scales with copper pins. The wedge is Turquoise.